The Marshall Court and Cultural Change, 1815-1835. 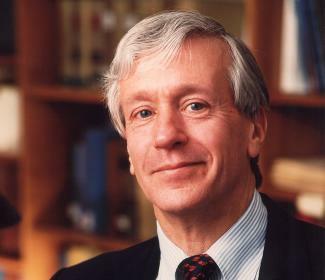 Macmillan, 1988. Earl Warren: A Public Life. Oxford University Press, 1982, paper, 1986. Tort Law in America: An Intellectual History. Oxford University Press, 1980; paper, 1985. Patterns of American Legal Thought. Bobbs Merrill, 1978; paper, 1983. The American Judicial Tradition. Oxford University Press, 1976; paper, 1978. The Eastern Establishment and the Western Experience. Yale, 1968. John Simon Guggenheim Memorial Fellowship, 1984-85. National Endowment for the Humanities Senior Fellowship, 1977-78, 1983-84. Winner, American Bar Association Gavel Award, 1979, 1981, 1983.